You would think that a true crime book would be a hard sell. I mean, if it’s a high- profile case, people already know how it ends, right? Accordingly, a true crime story has to have a strong, well-told backstory to guide readers from the beginning to the end that we all know is coming. It’s like driving to Disney World: find the scenic route and stick to it. This is exactly what Robert Fitzpatrick and Jon Land do in BETRAYAL. The result is a winner as exciting as any work of fiction. "With BETRAYAL, Fitzpatrick and Land present a crackling narrative that excites and electrifies even as it informs. Fans of true crime books, as well as those who enjoy crime fiction in general, will want to put it on their must-read list." Robert Fitzpatrick is one of those household names among crime aficionados. He is the FBI agent who will forever be known as the man who brought down James "Whitey" Bulger, one of the country’s most powerful organized crime figures. 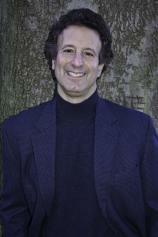 Jon Land needs no introduction to fans of thriller fiction, having authored over 30 books in the genre. Together, the duo has created a spellbinding tale --- told by Fitzpatrick in the first person --- of murder, power and multilayered corruption. The Boston Bureau had a problem. 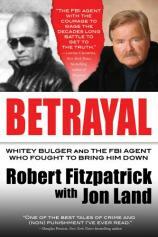 Whitey Bulger, a prominent organized crime figure, was being used as an informer by the Boston FBI office and was supposed to be (if we can be forgiven for using the term in this context) untouchable. John Morris and John Connolly (no, not that John Connolly), the two agents who were running Bulger, maintained that they were getting good intel from him that in turn was being used to bring down the Boston mafiosi. There was some question, however, as to whether the information that Bulger was providing was of any value. Further, the Massachusetts State Police suspected Bulger to be complicit in a number of murders in the Boston area. Connolly and Morris were also felt to be just a bit too close to Bulger on any number of levels. Fitzpatrick hit the ground running in Boston; from the first time he met Bulger, at a tense meeting on Bulger’s turf orchestrated by Morris and Connolly, Fitzpatrick knew that Bulger had to be cut loose. To Fitzpatrick’s amazement, he was stymied at almost every turn, not only in Boston by Morris and Connolly, but also in the Massachusetts State House and in Washington, D.C., in the halls of government and the offices of the FBI itself. The opposition made Fitzpatrick more tenacious than ever, even as he was all too aware that Bulger and his enforcers would think nothing of murdering him if he became too much of a problem. The story of how he brought Bulger and his machine down is a testament to Fitzpatrick’s character, a compelling and unstoppable force for justice. With BETRAYAL, Fitzpatrick and Land present a crackling narrative that excites and electrifies even as it informs. Fans of true crime books, as well as those who enjoy crime fiction in general, will want to put it on their must-read list.